Munich-based gift card startup BonaYou has raised a small seven-digit euro sum from Redalpine Ventures as it prepares to open an office in the UK. The deal came about through BonaYou’s existing investor MAS Angel Fund, a Berlin-based accelerator and partner of early-stage Swiss investor Redalpine. Judging from Redalpine’s previous rounds, this latest deal is probably between €1m and €1.5m. It follows seed and angel deals with HTGF (early 2012) and business angels Peter Schüpbach, Jochen Schweizer and MAS Angel Fund’s Benjamin Rohé. via VentureVillage: Gift card service BonaYou raises €1m plus from Redalpine. “inside” the MAS fellow. A Consultant and Entrepreneurs perspective. by Francesco Rieppi – MAS fellow 2012/2013 – Sometimes good things happen for strange reasons and at strange time. I left BCG unsure about what to do next, disenchanted about a career path supposed to be banking or consulting related. The good thing came as an email from a friend about a position in an angel fund in Germany. The position was on a Facebook post, short and interesting enough to let me forget I did not speak a word of German and push me to apply for the MAS fellowship. Two Skype calls after I found myself in Berlin, in the middle of the European Startup scene. That was the begin of an experience that definitely changed my life. I joined MAS as a former consultant – I left after 9 months as an entrepreneur. I spent 9 months absorbing all what I could from some of the best people I could hope to work with. I threw away my consultant approach to slides, moved from problem-solving to solution-seeking and eliminated the world hierarchy from my vocabulary. Startup screening, due diligence, companies’ valuation and conferences made each day a complete new learning opportunity and naturally pushed me towards my own startup. MAS and his Fellow program have been an amazing experience. If you want to understand what entrepreneurship means, get in touch with MAS and enjoy learning how to make a dent in the universe. 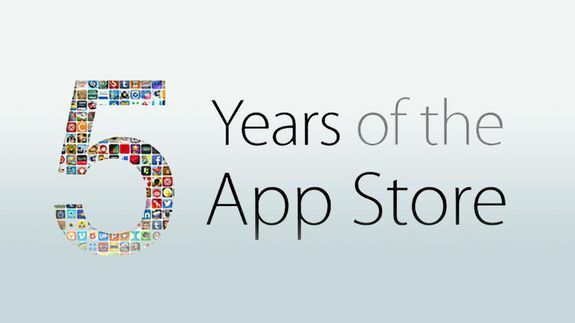 Lots of changes have taken place over the last five years and it’s hard to argue that the impact the App Store has had on the world of mobile and smartphones is anything but immense. Don Mattrick might be headed to Zynga to replace founder Mark Pincus as CEO.